No group has claimed responsibility for Saturday's attack but the Taliban insurgents fighting to overthrow the Western-back Kabul government has carried out some of the deadliest bombings against government installations in past years. 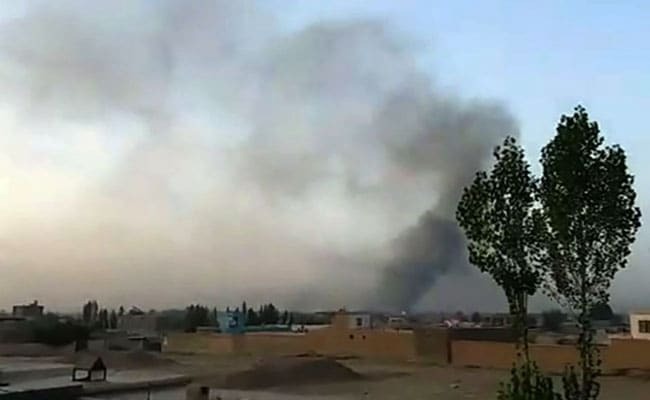 At least five people were killed and 15 more wounded when a suicide bomber detonated a car packed with explosives outside a police compound in central Afghan province of Wardak on Saturday, a police spokesman said. The early morning bombing in Maidan Shahr, the main city of the province, some 35km (22) miles southwest of the capital Kabul, happened as policemen and civilians were going inside the base, said Hekmat Durrani, a spokesman for the police chief. Three civilians and two policemen were among the dead, Durrani said, adding that the casualty figure could rise as policemen and first responders were busy recovering the wounded and bodies from collapsed walls and debris. Strategically located along the route connecting Kabul to the southern region, Wardak is ideally placed for insurgents who control nearly mountain villages to use as a staging ground for suicide bombings inside Kabul. The sprawling base built by the Americans, is home to hundreds of Afghan policemen from where they conduct operations in two nearby provinces.